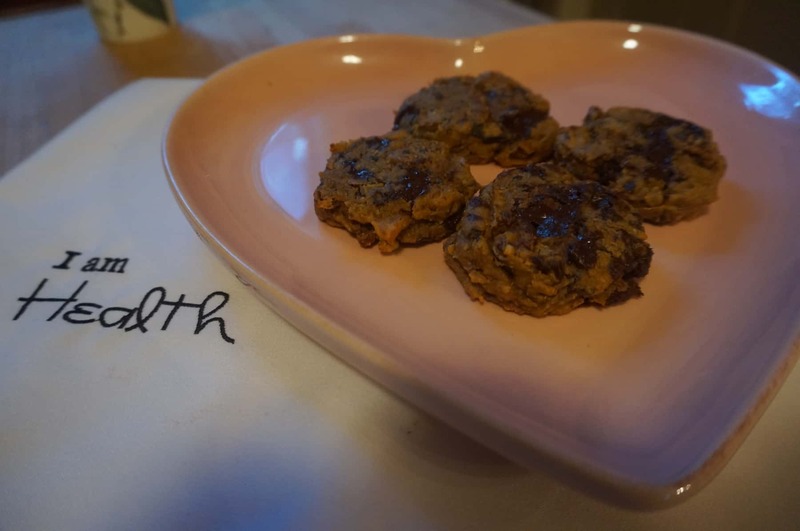 Without flour or sugar but with the perfect amount of dark chocolate chunks this is a sweet potato cookie you can be thankful for. 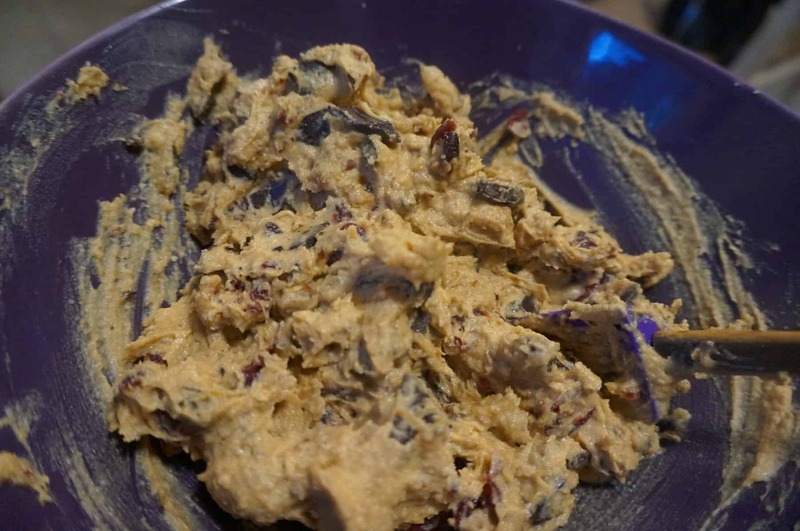 Using sweet potato instead of flour for these yummy cookies and adding cranberries, walnuts, and dark chocolate to the mix, one bite is a Thanksgiving memory. This naked cookie is a perfect treat to pack up and bring to a friend during the fall holiday season from Halloween to Thanksgiving. This cookie is a easy as throwing all the ingredients (listed below) into the vitamix and mixing until you form this amazing cookie dough. 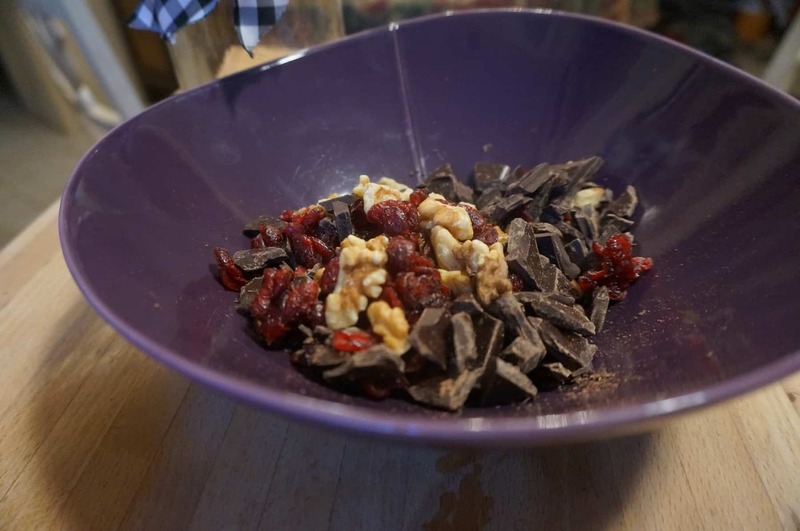 Once you have the dough formed, simply scoop it out of the mixer and into the bowl that is filled with crunchy walnuts, chewy cranberries and divine chocolate chunks. 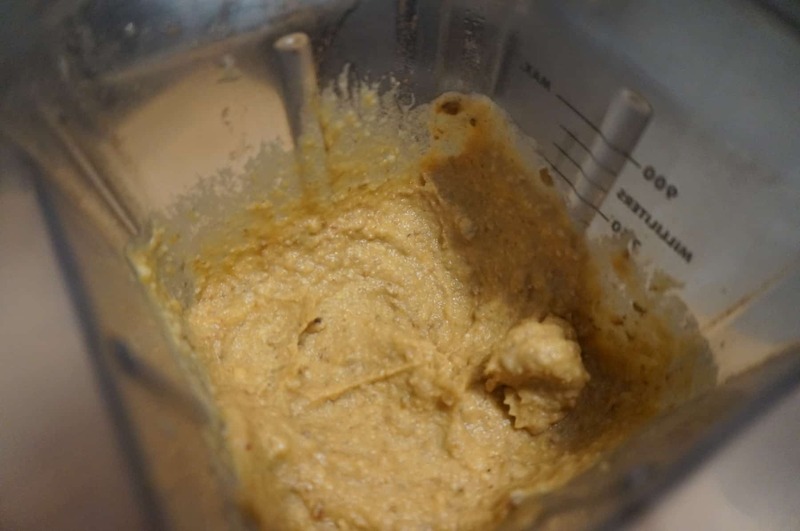 This forms a perfect decadent cookie dough. There is no sacrifice of flavor here. These cookies are larger as I used 2 tbsp of dough per cookie. If you want smaller bite size cookies, you can use a one tbsp scoop instead. After 5 minutes in the oven, I removed the pan and flattened down the dough with the bottom of glass. Nothing is more yummy than the melting of chocolate chunks that ooze out the sides of warmed cookies right from the oven. Serving food on special plates adds pizzaz to the experience. I use a heart shaped plate to spread the love around. Presentation is important and pretty matters when it comes to food. 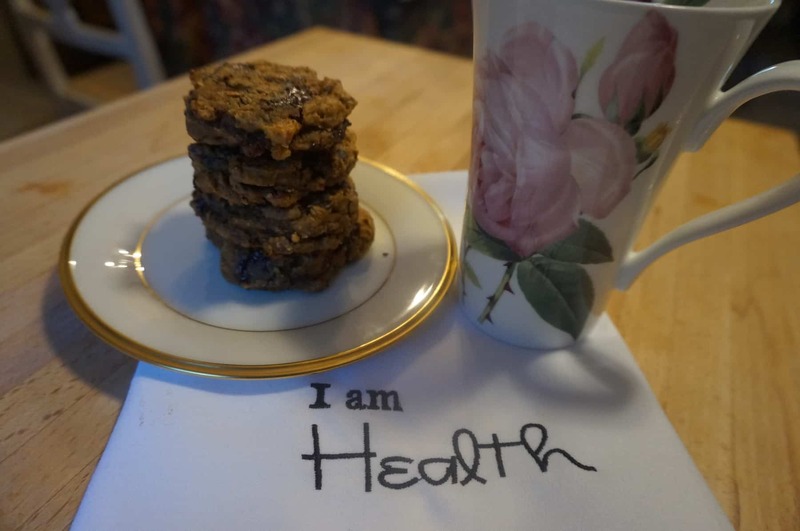 Think about how much more satisfying it is to place a delicious cookie on a pretty plate, with a napkin, and allowing more than a second or two to savor the flavors and enjoy. Instead of rush, rush, stuff, stuff, what if you took a moment to appreciate and allow your mouth to salivate with anticipation? This is a really simple way to create a divine experience for yourself. 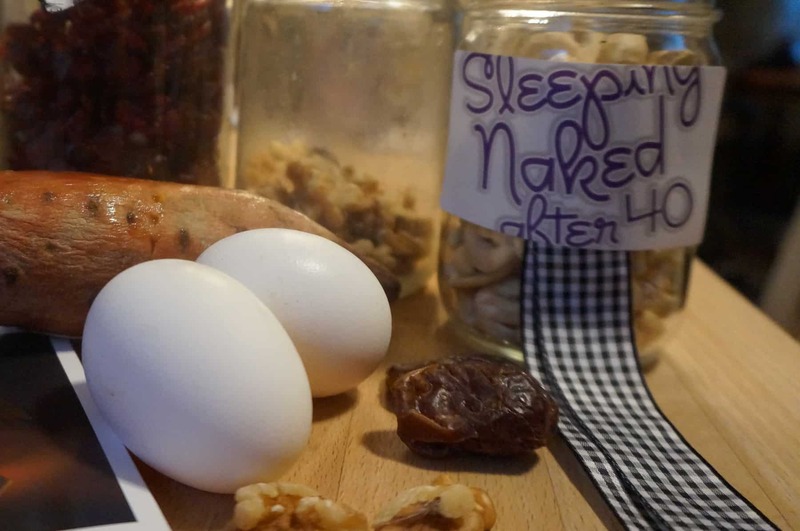 In the Sleeping Naked After 40 Guidebook to Self Love, Lesson # 10 lists “Dainty Dining Rules” for bringing the gift of presence to your eating. 3. Calm down – Say a simple prayer of gratitude or grace before diving into your plate. 4. Write it down – job down your food into a journal so you can really see what you really ate. 5. Sit down – no eating or picking if you are not seated like a lady. 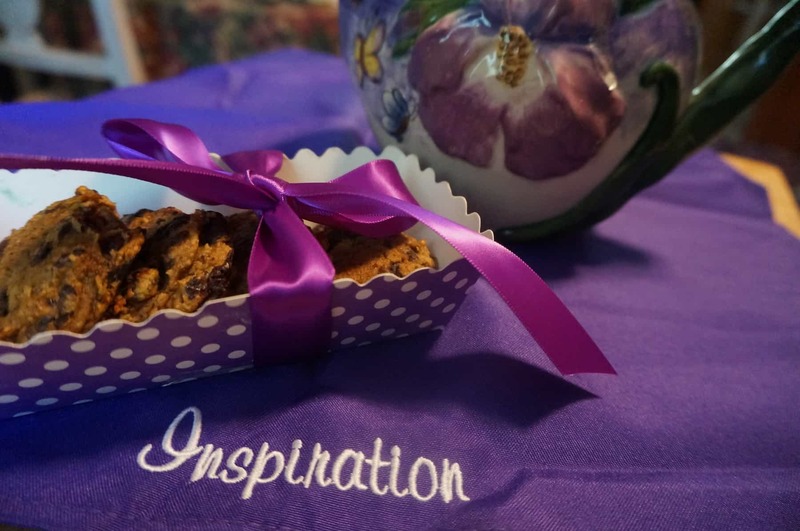 Little purple polka dot boxes serve as a great way to give your treats as gifts. 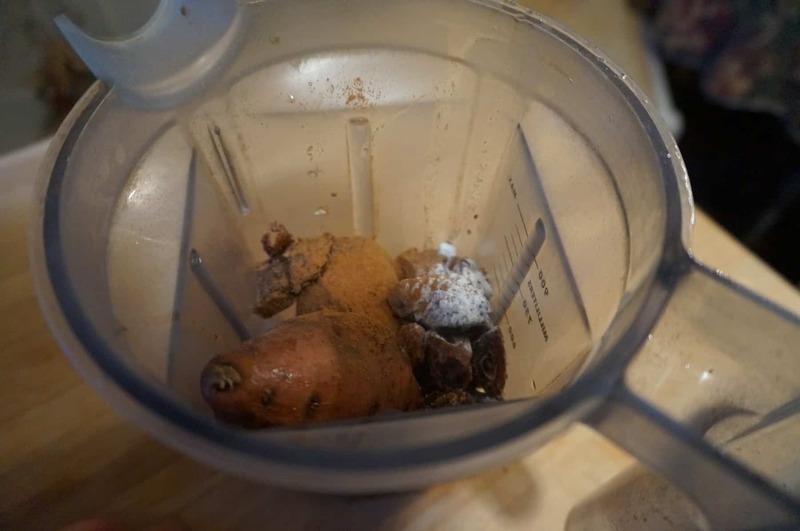 Directions: Mix above listed (7) ingredients in the vitamix or food processor until it forms cookie dough. Add the dough and stir into a bowl filled with the following and combine gently. 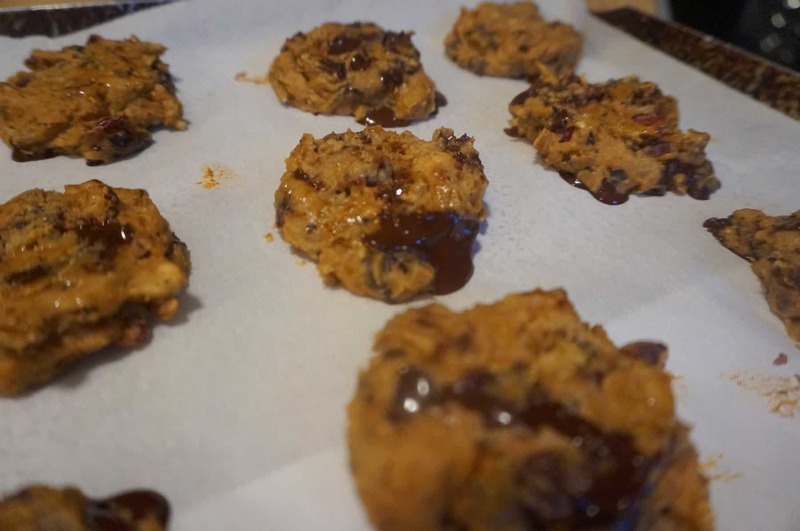 Drop mixture by large cookie scoop into balls onto a cookie sheet lines with parchment paper. Bake a 350 for 15 minutes or until firm. But stand by, at 5 minutes into the oven, you’ll want to flatten cookies. Using the bottom of a glass, press down gentle to flatten out the ball of dough. These are very tasty direct from the freezer, which I find works best. P.S. There are lots more goodies in this 311 page Guidebook that took me 4 years to compile and 40 years to learn. Find out more about the book here. 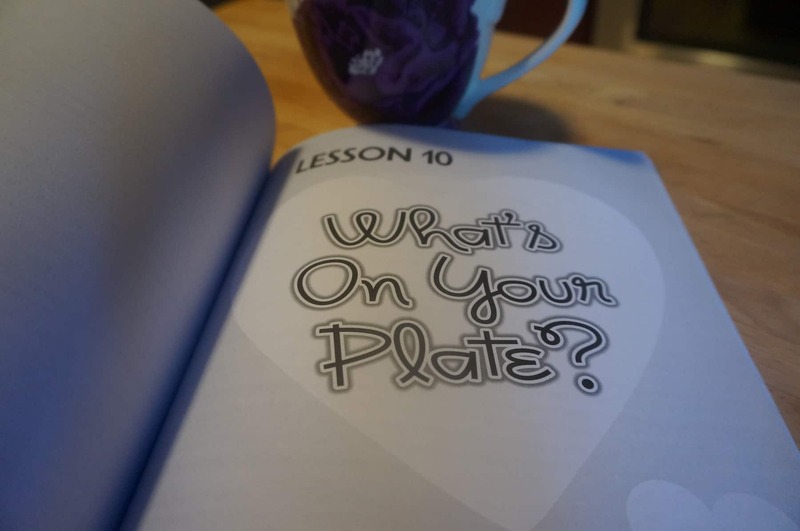 Make a cup of tea, delight in a cookie and learn more about how to uncover, discover and enjoy what’s on your plate. With much love and gratitude for your showing up here on this blog and for showing up to make your life extraordinary, I salute you! What is It Wednesday 2: Impostor Cake.